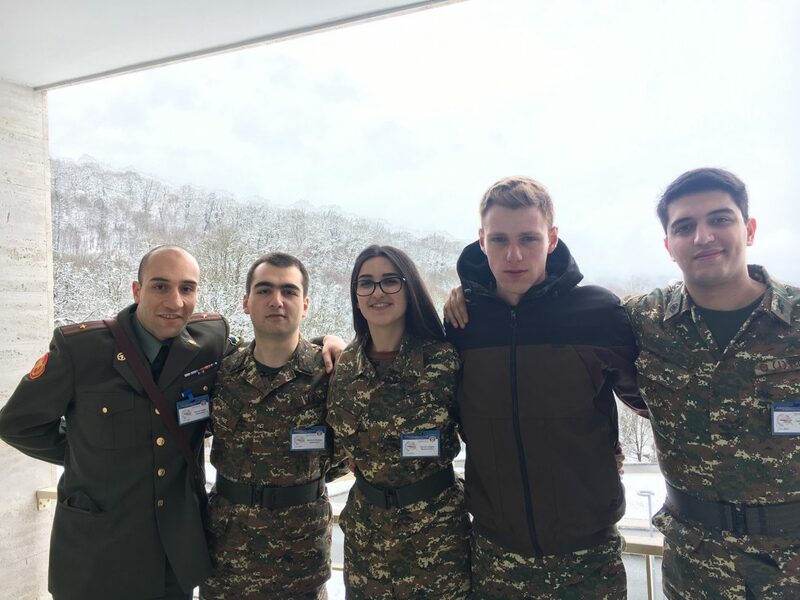 DILIJAN, Armenia ‒ The American University of Armenia (AUA) is proud to share that a team of three undergraduate students from AUA and Yerevan State University (YSU) representing Armenia placed second in the finals of the International Foreign Language Olympiad. 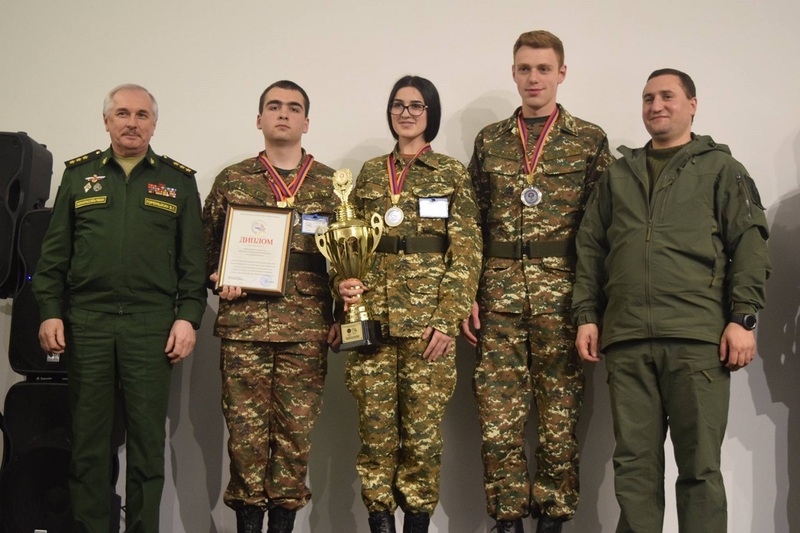 The results of the Olympiad were announced on March 29, 2019 at the Military and Sports College named after Monte Melkonyan, Ministry of Defense (MoD) of the Republic of Armenia (RA). 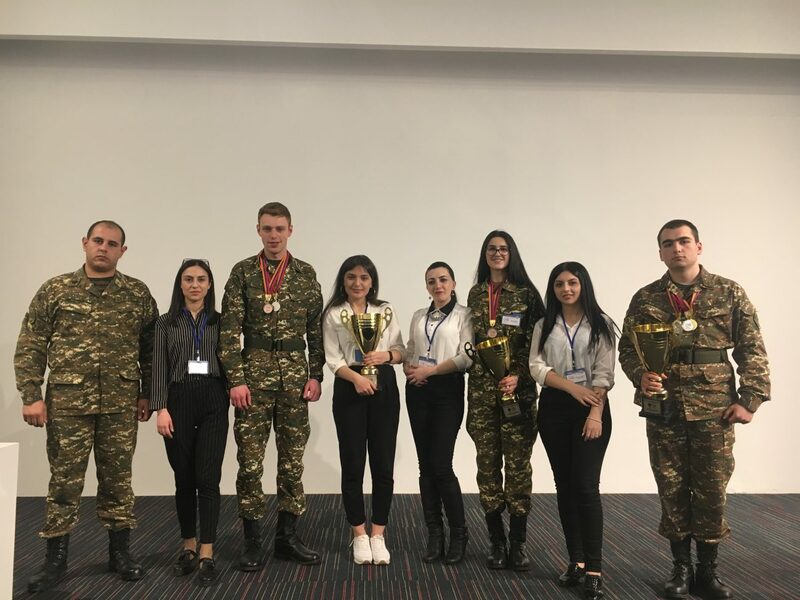 Competing in the final round of this year’s Olympiad were 21 cadets from higher educational institutions of the Commonwealth of Independent States (CIS) member nations representing Armenia, Russia, Belarus, Kazakhstan, Kyrgyzstan, and Uzbekistan. 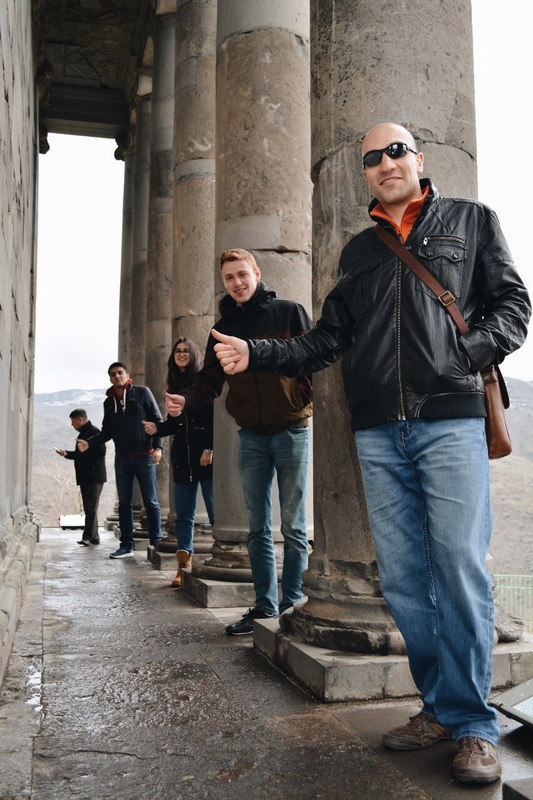 The participants also had the opportunity to tour the historic and cultural sites of Armenia. 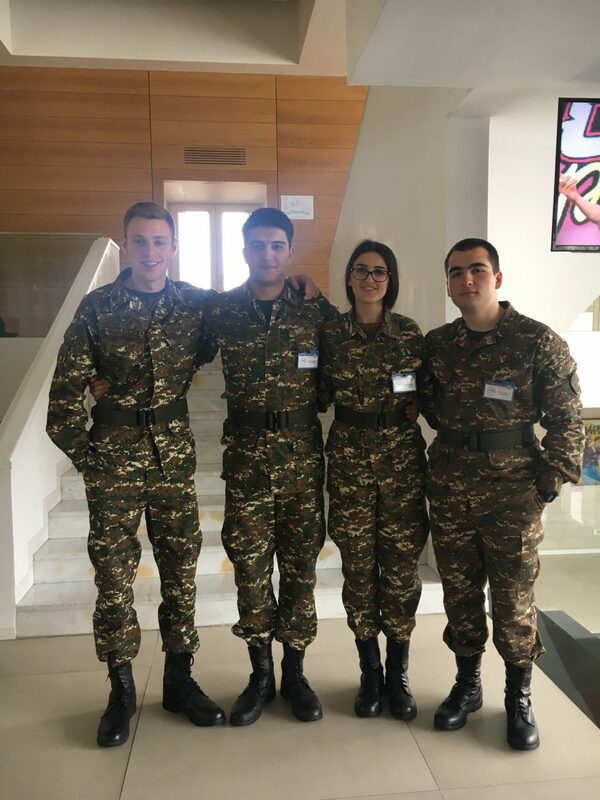 The Armenian team of three cadets from the RA MoD Vazgen Sargsyan Military University, Eduard Hovhannisyan and Maria Yeritsyan from AUA, and Mikayel Arsenyan from YSU, demonstrated excellent knowledge and received several medals and honors at the Olympiad. 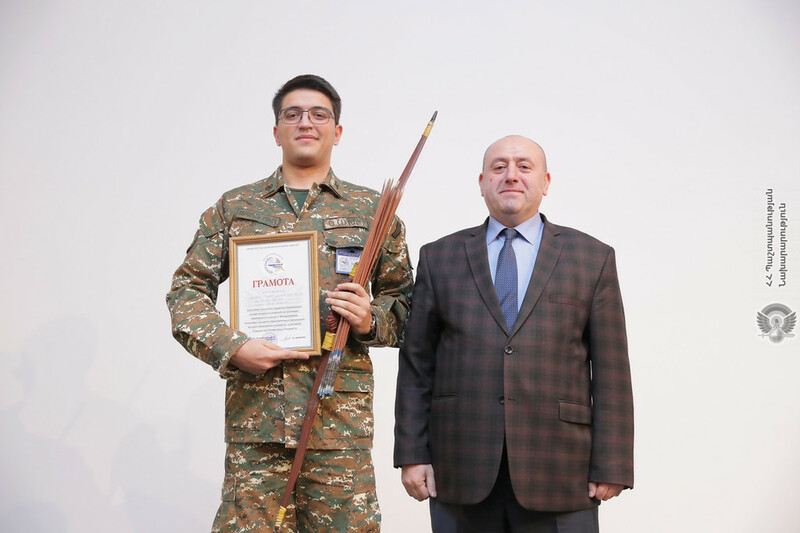 Although the Armenia team won second place, Arsenyan placed first based on the cumulative result of the first three individual rounds. 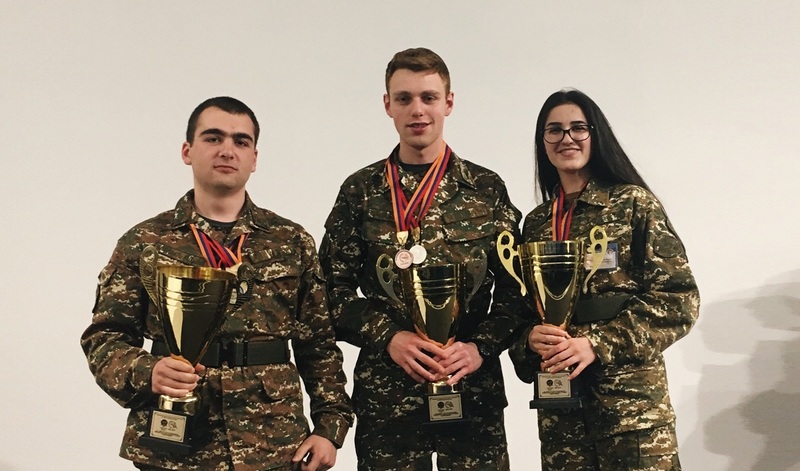 “My Eagles, that’s how I call them, performed with great honor,” said Arman Simonyan, the coach of the Armenian team, cadet at A. Khanperyants Military Aviation University and an AUA undergraduate student. He supported the team and shared with them his experience from the 2018 Olympiad. “I advised them not to underestimate their rivals and, at the same time, to be confident in their own knowledge,” he said. AUA students acknowledged that the teamwork and time management skills they had gained at the University helped them to achieve better results. 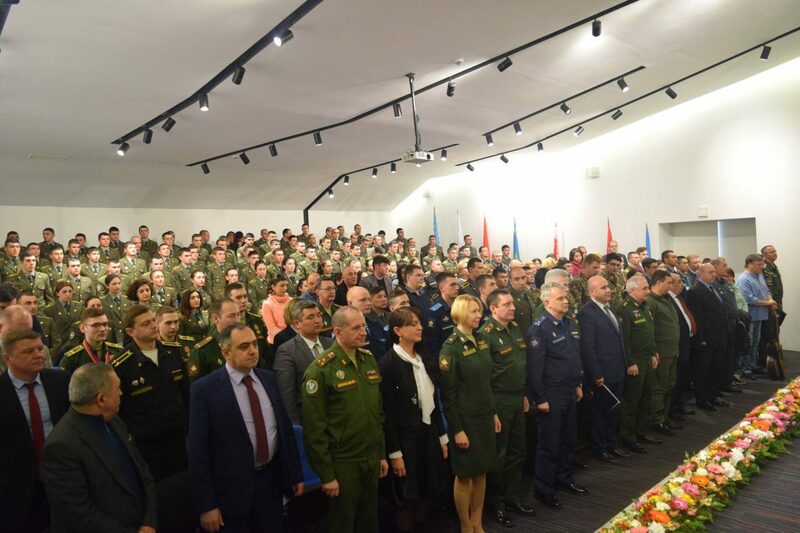 They also shared words of appreciation for their commanders ‒ Major Tigran Hunanyan and Major Artyom Sahakyan. “They were so attentive and mindful. They were always with us, supporting us in any situation. 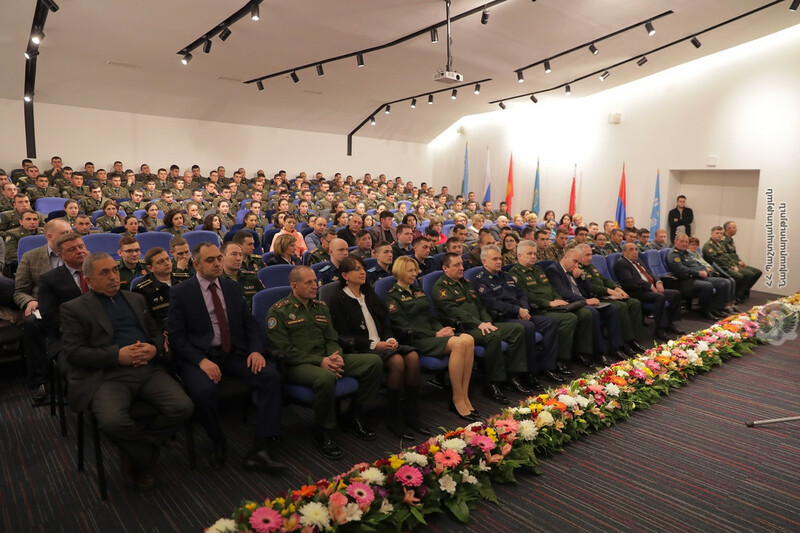 Major Hunanyan and Major Sahakyan restored our faith in the leadership of our army. 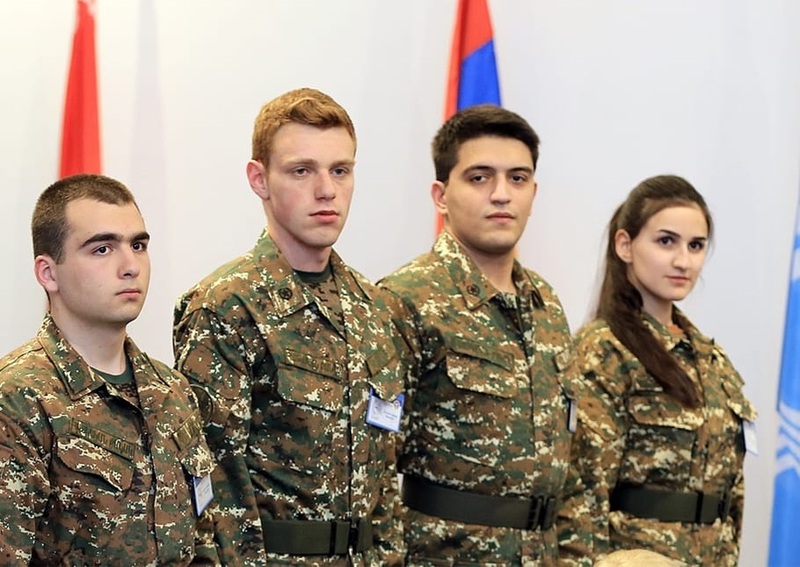 They, in turn, said that we restored their faith in the youth,” noted Simonyan with a smile. “As the representatives of the host country, we were expected not only to perform well, but also to create a hospitable and welcoming environment for the international participants. We succeeded in both. 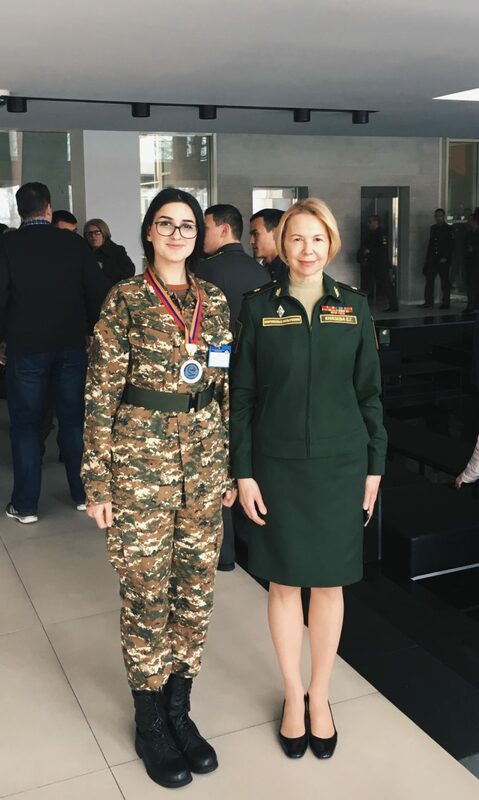 Everybody left Armenia satisfied with their hearts full of joy,” noted Yeritsyan, the only female cadet in the Olympiad. She also highlighted the fact that though she went to the Olympiad as an individual, she returned as a member of a solid team. RA Deputy Minister of Defense Gabriel Balayan, Secretary of CIS Defense Ministers Council, Major General Yuri Dashkin, Chief of the Main Personnel Directorate of the Ministry of Defense of the Russian Federation, Colonel General Viktor Goremykin, and other high-ranking military officials attended the official closing ceremony of the Olympiad and personally congratulated the participants.